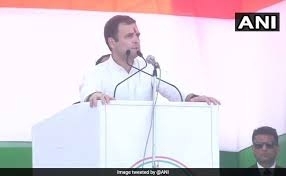 Congress president Rahul Gandhi today said that Indian Air Force (IAF) defends the country, but Prime Minister Narendra Modi "stole" Rs. 30,000 crores from the force. Rahul Gandhi alleged there was "corruption" in the Rafale deal and Rs. 30,000 crore had been wrongfully given to Anil Ambani. "Vaayu Sena desh ki raksha karti hain aur hamare PM use chori karti hain (The IAF defends our country but the PM has stolen money from the force)," he said.